Free Money? Well, yes actually. Coming out of this recession, congregations are looking for new ways to augment church income. Many of the more traditional options (craft fairs, flea markets, service auctions) can, if well done, help build community, but they tend to be one time affairs, place high demands on volunteer hours, and most often do not raise substantial amounts of money. Many congregations are making use of more technologically assisted options with good results. You might wish to consider something along these lines. 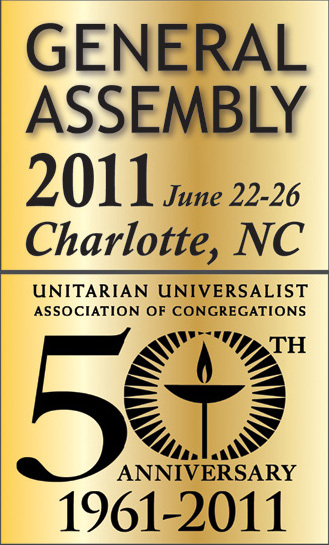 Let’s talk about Unitarian Universalism and money. “Ask” given at joint Association Sunday service planned by seven Unitarian Universalist (UU) congregations in South Central Pennsylvania. 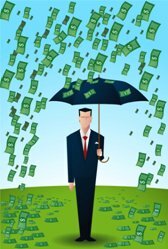 From my work with Unitarian Universalist congregations about money, I’ve learned that there are 3 different kinds of money we gather from among ourselves. First, there’s the money we gather up so we can give it away – to people or organizations who need it more than we do, because they are changing the world in ways that we know are essential. This is the kind of money we like best. We never have enough of it, but we make a point of talking about it, and it makes us feel good to give it away. 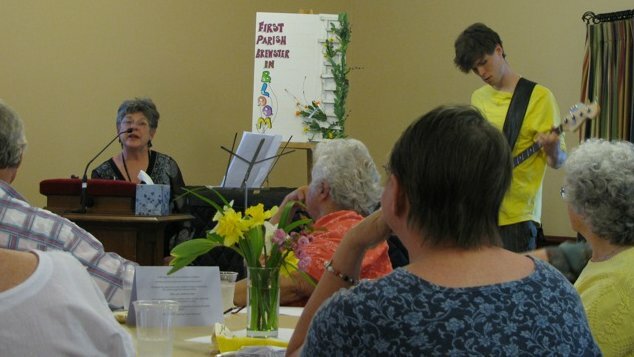 We learned about this congregation’s stewardship education work through the Green Sanctuary Program application process (we do live in an interconnected web of life) and thought that it might be interesting and inspiring for other congregations. 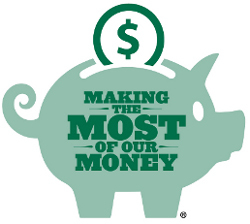 Making the Most of Our Money is a 9-session money management class aimed at low-income, food pantry and general assistance residents in the Northwest Suburbs. The program is sponsored by and held at Countryside Church Unitarian Universalist (“CCUU”) in Palatine Illinois. At the summer 2007 leadership retreat for CCUU, the congregation voted for a long-term social action project to turn our church covenant of recognizing the inherent worth and dignity of every person into action. Palatine Township caseworkers requested that we provide money management classes to the low-income recipients of the food pantry and the township’s general assistance clients.